We've got FIVE 3D printers at your disposal this weekend, and are here to help you get your stuff from mind to print. First, a big shout-out to the U of T Faculty of Information who lent us some extra printers while our 8 printer fleet is at Maker Faire this weekend (by the way, the Faculty is looking for master's and Ph.D. students to join them in their study of emergent digital tech — contact them if you're interested). Our plan is to give teams the ability to leverage 3D printing to build larger, more innovative and complex prototypes, while enjoying the freedom to iterate over several prints. It’s a veritable all-you-can-eat 3D printing buffet! Our staff will be running the MakeLab printer fleet Saturday from 10am to 10pm, and Sunday from 9am to noon. We'll also be setting large models to print through the night Sat to Sunday. And as Startup Weekend Toronto is providing unlimited free filament, you can plan for large multi-hour builds that will take your prototype to the next level. MAKELAB staff will also be overseeing the printing on-site, and is here to help you with advice on preparing your prints. New to 3D printing? Here’s what you can do with it. MakeLab’s printers are FDM (fused deposition modelling) type. They work like computer controlled glue guns, melting and laying down successive thin layers of plastic one by one until your object is printed. It’s helpful to think of 3D printing not just in the context of printing your entire solution top to bottom, but in creating components to allow you to use other materials in innovative ways (think: hinges, corners, feet, structural elements). Take some time and get inspired on Thingiverse, one of the best collections of downloadable 3D models on the internet. Check out their Tools category for some great applications of 3D printing in creating custom components, fasteners, gears, etc. Remember that you can download something, and alter it to suit your needs using a 3D modelling program (more on that below). Search Thingiverse with keywords of components you've already decided on for your project. For example, you can search Arduino on Thingiverse and see what others have created that you can alter or build off of. From the practical to the absurd, it’s all there. MakeLab uses MakerBot Replicator 2 printers, with build volumes of 285 mm L X 153 mm W X 155 mm H. You can print larger objects in multiple sections, and glue or fit them together. We'll be printing exclusively in MakerBot white PLA plastic for free over startup weekend, though you may purchase a more colourful spool of plastic from us should you wish. 3D design: a lot easier than you think. If you've done a lot of 3D modelling, you know there’s plenty of software options out there. Just make sure you can export an .STL file. If you’re new to 3D design, there’s a plethora of 3D modelling programs that are super easy to use. Start with Autodesk’s TinkerCAD or 123D Design. Both have great tutorials and a short learning curve. With the appropriate plug-ins, you can also export STLs from Trimble SketchUp Pro. 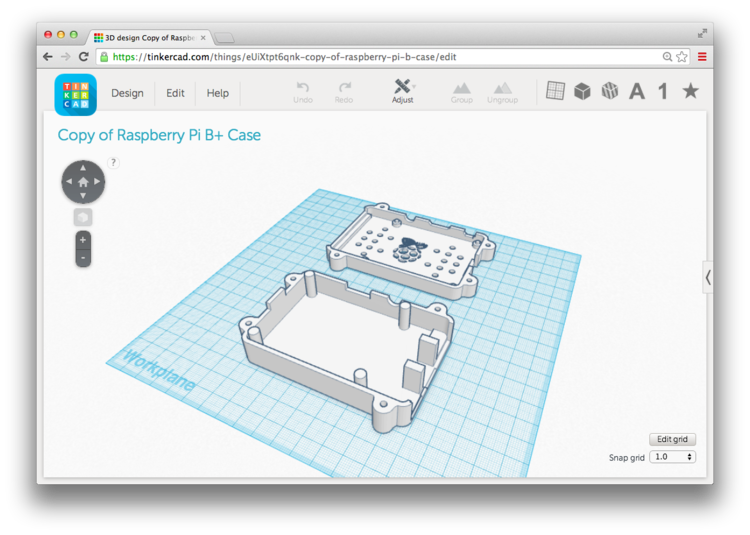 You can also check out Autodesk’s super fun and useful family of 123D apps (TIP: 123D Make is an incredibly powerful way to use a laser cutter to make 3D objects. Laser cutters will be available at Startup Weekend, are faster than 3D printers, and can yield some spectacular results). Once again, remember that you can import a Thingiverse model as a starting point. Just download the .STL file for the model you want from Thingiverse, import (not insert) it into 123D Design or another app, and make your edits. It’s also not a bad idea to run your model through an app like Netfabb’s free 3D model analysis tool to check your model for any errors and repair it automatically. If you need some help, feel free to run your model by us for a tip or two. With the volume we’ll be handling at Startup Weekend though, we won’t be able to offer from-the-ground-up design services during the weekend. So you’re ready to print. Great! Come over to our on-site printing area. We’ll take a look over your model with you, start the print, and let you know when it’s likely to be done. We’re excited to see what you create. #MakeAllTheThings.